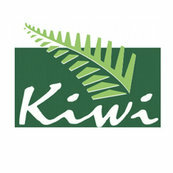 Our customers had a rimu kitchen from the 80s - although it was in a large space it was not particularly practical. 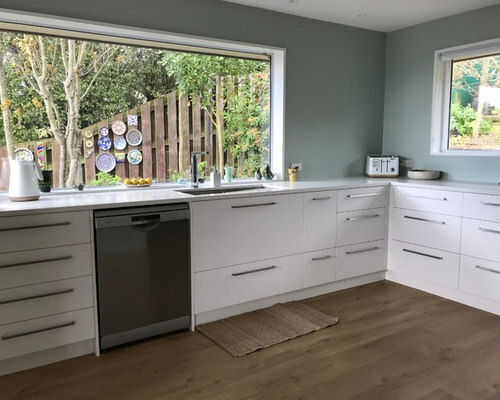 Now the kitchen is light and bright with long runs of useable bench space and masses of storage. 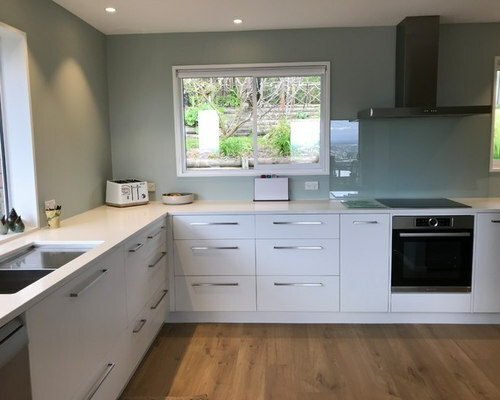 In this renovation, our customers chose Iceberg Quartz benchtops with Dezignatek White cabinetry. Our customers are enjoying nice long lengths of bench space and heaps of drawers for easy storage. 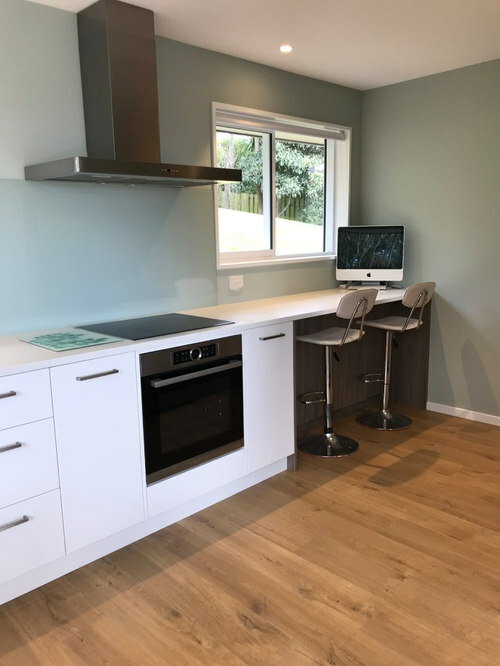 They chose to have a glass splashback that matches the wall colour which creates a nice clean look. 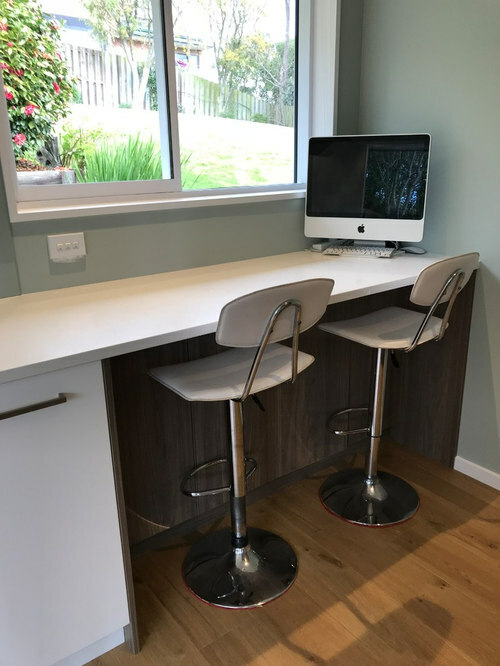 Our customers were keen to have a seating area incorporated into the end of their kitchen space. We made additional storage cupboards underneath the seating area. 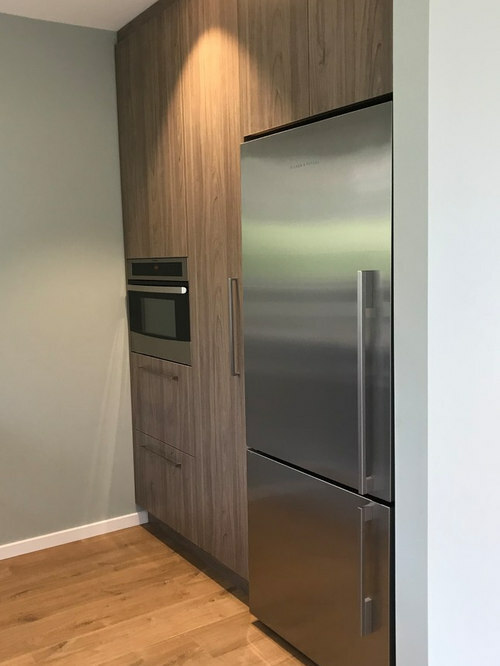 The tall storage and fridge is all located together. Our customers have a built-in combi-microwave oven with drawers below and storage above. Next to this is a tall pantry with internal drawers. 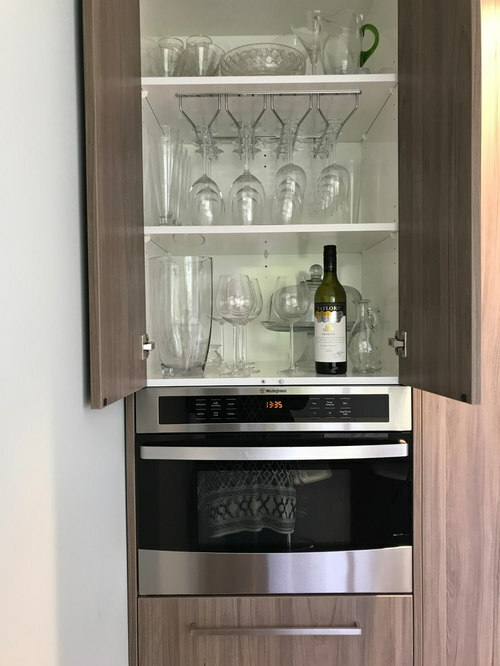 One of the only cupboards in the kitchen (just about everything else is drawers) has been designed to hold wine glasses and other tall items.